A decent headlamp should stay in place without too much adjusting, and be able to withstand the odd bit of wear and tear. 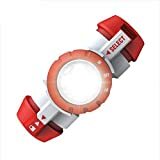 Perfect for night time hiking and running, and for just finding your way around in the dark when you’re out camping. There are plenty of headlamps around, and a lot of the cheaper ones just aren’t up to scratch, cracking and breaking down with extended wear and use. If you’ve visited Camping Things before, you’ll know that we do all we can do find a balance between quality and value for money. These top 5 best headlamps are simple to use, and mostly employ power saving LEDs. If you’ve ever found yourself carrying your headlamp, or wishing that you could stick your torch to your head, then the Striker is for you. 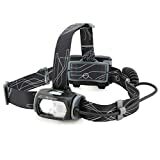 It’s a 4-in-1 light, which can be used as a headlamp, magnetic light, right-angle light and handheld torch. Everything you need to switch up the Striker quickly and easily is included in the pack, and each version of the light works extremely well. The headstrap on the Striker is one of the best we’ve seen, very comfortable and sturdy enough to not slide around during heavy duty activities. 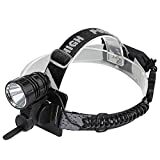 Like most of these headlamps, the Striker Portable Flashlight and Headlamp is made from high quality plastic and elasticated fabric. The Striker also features a slightly rubberised front ring, for increased grip when wet. 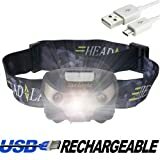 Headlamp — Straps on like a regular headlamp using the Striker’s secure headband. Magnetic task light — Easily position the Striker anywhere you like and adjust to suit. Right-angle light — Perfect for working at awkward angles. Handheld torch — Remove the headband and attach the wrist strap, turning the Striker into a regular, handheld torch. Compact and powerful, the Pathfinder is a versatile all-rounder that’s good for use as a reading light, and for hiking.